The implements under the brand name AGROLEAD Grand Sack Lifter is designed to empty your heavy big-bag fertilizers to the inside of the machine easily between the weights of 600 - 1000 kg. 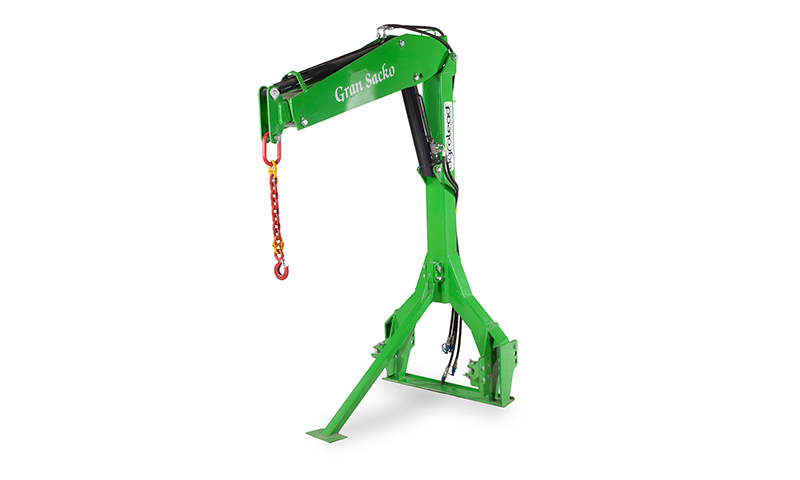 Additively, it provides maximum benefit in your other operatings with crane.Another feature of Grand Sack Lifter involve easy control system via one operater by favour of its’ hydraulic control mechanism. Moreover, it provides saving from both time and labour. Our Grand Sack Lifter can run with either combine or independently with fertilizer spreaders. Machine has 600 kg lifting and carrying capacity at the maximum boom length and 1000 kg lifting and carrying capacity at minumum boom length.